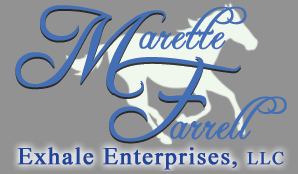 Lots of good news here at Marettefarell.com. Aragonite, a lovely three-year-old son of City Zip, owned by Bill Punk and Phil DiLeo, broke his maiden at Aqueduct. Helena’s Triomphe, a half-sister to Grade III winner Collected who is co-owned with Anderson Farms, produced a pretty bay filly by Artie Schiller. And Sunshine Song, a mare co-owned by Stephanie Brennan and Marette, just produced a beautiful Bernardini filly. “We are very excited as she is the full sister to the yearling that made $400,000 at Fasig Tipton Saratoga last year,” said Marette.